Making your own homemade multigrain buns was never any easier. Bake off in 15 minutes and enjoy the smell filling your home. Differ with the spreads and enjoy the endless possibilities. 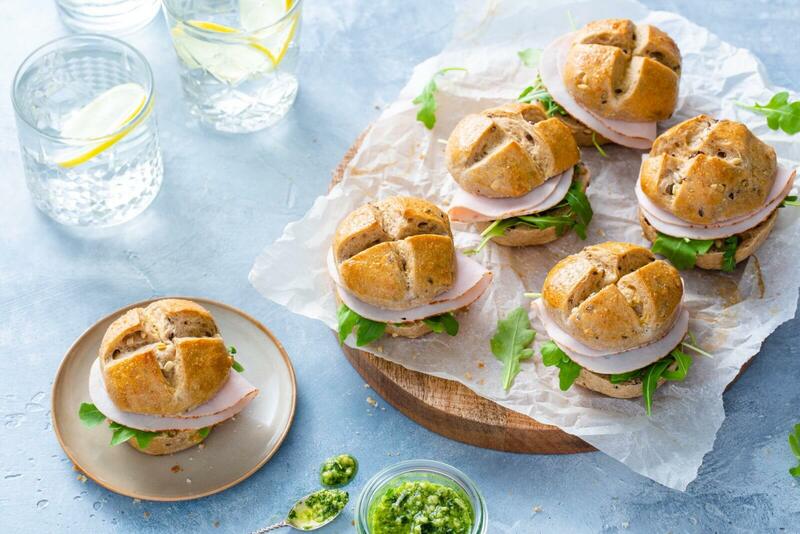 Spread the buns with some pesto and finish with the turkey and rocket. Voilà!